We will explore the meaning of the words Islam, Muslim, salaam and the interrelationship of these key words as related to submission and peace. We will follow this with a brief outline of the 5 pillars and 6 principals of Islam. Previous to embracing Islam, Noor Saadeh (Saa-dee) (nee Sherrie Van Wyke) was a professional opera and concert singer performing in New York City and abroad. She originally hails from Appleton, Wisconsin, and partnered as a singing duo throughout her high school years with UU Door County’s own Cyndy Stiehl! Saadeh is now a renowned song writer and storyteller, nicknamed the Muslim Barney! She has produced several audio products for children that are renown throughout the Muslim world. Noor and her husband own Noorart, one of the largest Islamic media and educational online platforms in North America. 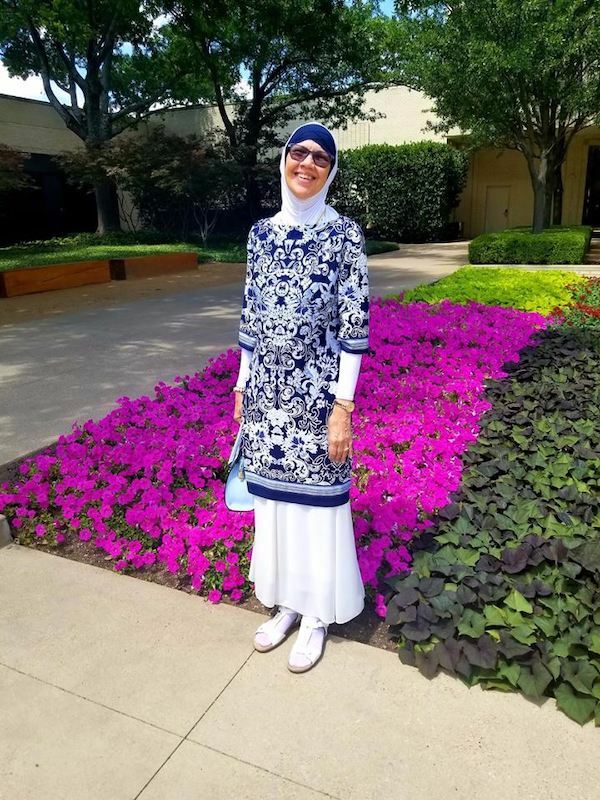 As the Muslim co-lead for the Dallas Chapter of Daughters of Abraham as well as board member for Friends for Good, she enjoys interfaith, public speaking, and is a passionate advocate and activist for the rights of women and her beloved adopted faith. Noor pens a monthly blog for Plaid for Women, an online resource and with a Christian cohort shares Divine Perspectives, a monthly column for Family Flavors of Amman, Jordan, her second home. This year marks her 30th anniversary as a proud and passionate Muslim. Noor is married with one married son and daughter-in-LOVE!